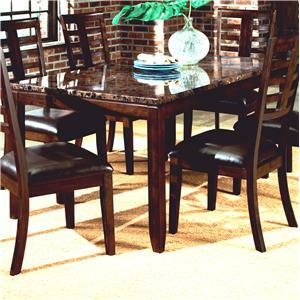 A bold centerpiece for any dining room, this mod table features a cool, beveled glass table top and sturdy, white legs. Further dressing up this chic look are bright metal leg supports and a display shelf covered in white vinyl. 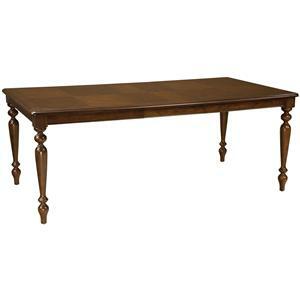 Table also available in black finish. 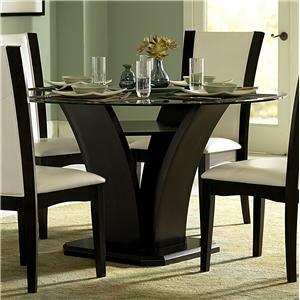 The Riggan Contemporary Dining Table with Beveled Glass Top and White Legs by Acme Furniture at Carolina Direct in the Greenville, Spartanburg, Anderson, Upstate, Simpsonville, Clemson, SC area. Product availability may vary. Contact us for the most current availability on this product. 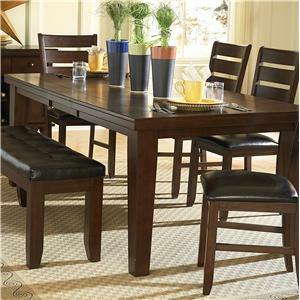 The Riggan collection is your one-stop destination for contemporary dining sets. 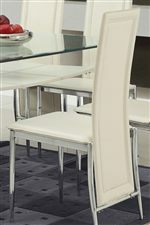 Featuring several stylish variations on the sleek, modern dinette; bright metal, smooth vinyl and tempered glass give each dining set a refined, high-fashion look. 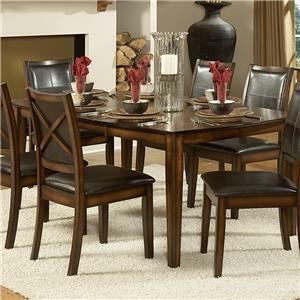 Each seven-piece dinette consists of a formal dining table and six chairs softly upholstered in vinyl. 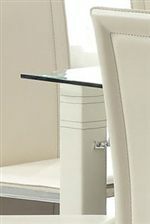 Black vinyl or white vinyl chairs are available, as well as a choice of black or white wood finish. The Riggan collection is a great option if you are looking for Contemporary furniture in the Greenville, Spartanburg, Anderson, Upstate, Simpsonville, Clemson, SC area. Browse other items in the Riggan collection from Carolina Direct in the Greenville, Spartanburg, Anderson, Upstate, Simpsonville, Clemson, SC area.